Festivals, Concerts, Corporate, Public & Private Event. Find below information about: the description of act and thematic show options available; production requirements; photo, audio & video promo kit; repertoire list, testimonials from clients and biography. From the beach sands of Brazil to the world, Brazilian singer Juliana Areias’ career, centered on traditional and contemporary Brazilian Music, includes a performance at the revered Montreux Jazz Festival. Juliana Areias music embraces several shades of the Brazilian musci spectrum and its resonance upon jazz, French, Latin, Pop, Rock and other international musical styles. Juliana Areias duo ,trio or quartet formats provide the perfect atmosphere for corporate, public or private cocktails and dinners: warm, joyful, classy but not too intrusive. 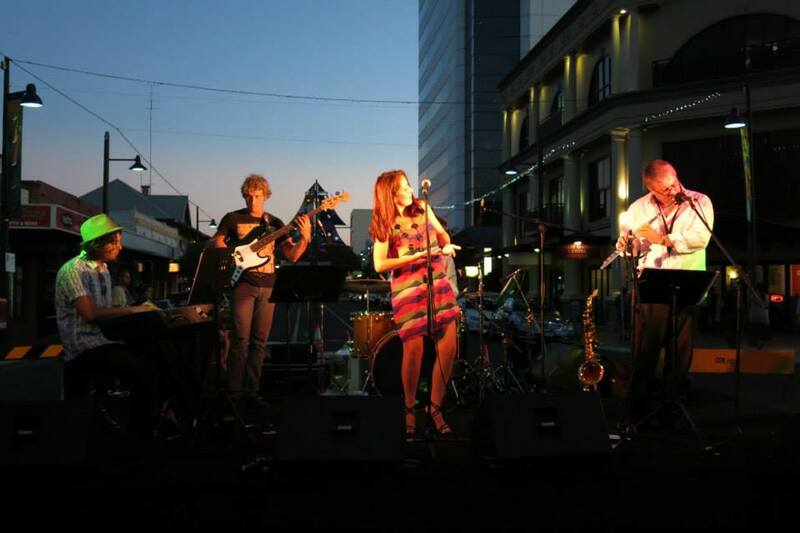 Juliana Areias quintet or sextet format is perfect for corporate, public or private parties and dinners transporting and inviting the guests to experience a full Latin Jazz atmosphere where you can feel like dancing. Bossa Nova Baby is her nickname. And now also the title of her first original album. The show presents the Bossa Nova Baby CD live. 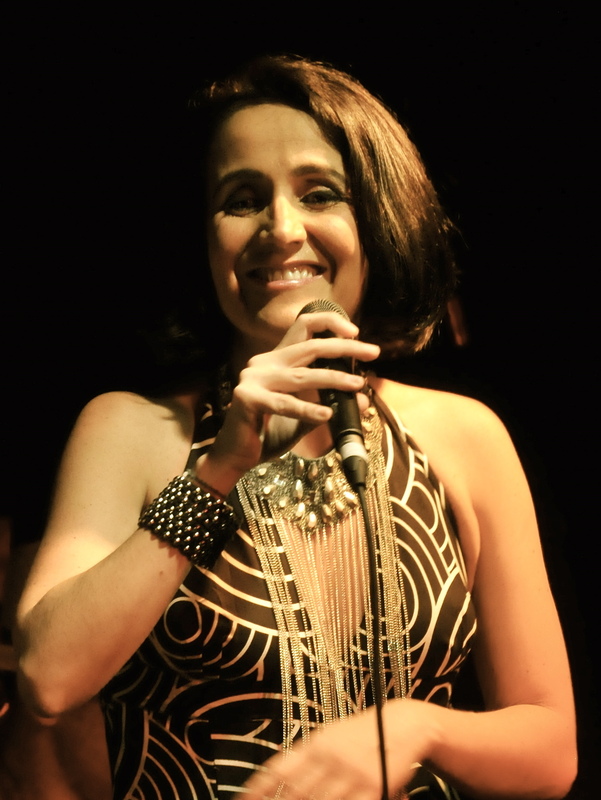 The album is a selection of 12 original songs composed by Juliana Areias all around the globe and recorded in Perth with some of the most highly regarded jazz musicians in Australia. On stage, they create a contemporary dialogue between bossa, samba, jazz, tango, choro, pop, baiao , ballade and funk through songs like “Maré Cheia”, “Belas Artes”, “Meu Lugar” and “Night in Takapuna”. _ The Album “Bossa Nova Baby” reflects the present, here and now, as well as the richness of the whole spectrum of Brazilian music with its multiple influences, combined with the wonderful quality of music we produce here in Perth, Western Australia. 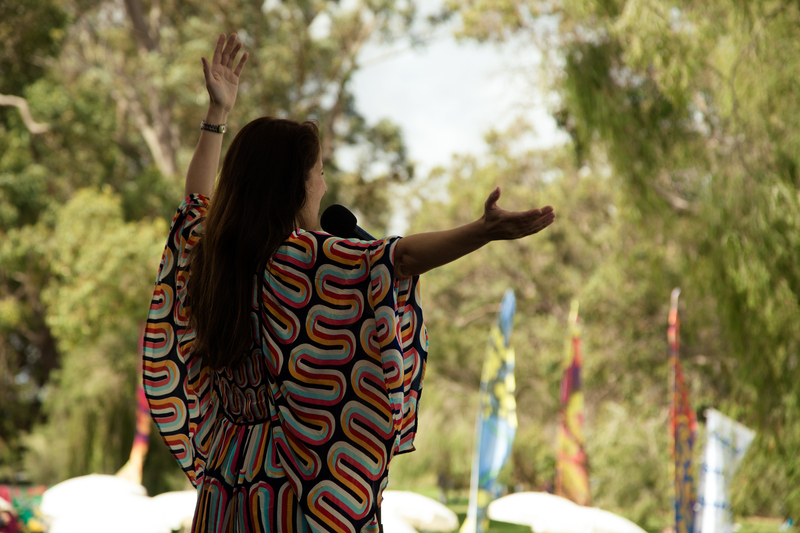 Perth is considered the most isolated metropolis in the world, yet I think, it’s one of the most inspiring, musical and artistic places I have ever experienced – celebrates Juliana Areias, based in Perth since 2009. _ Just as Bossa Nova Baby is my musical nickname, bossa nova is my very essence as a singer and songwriter. 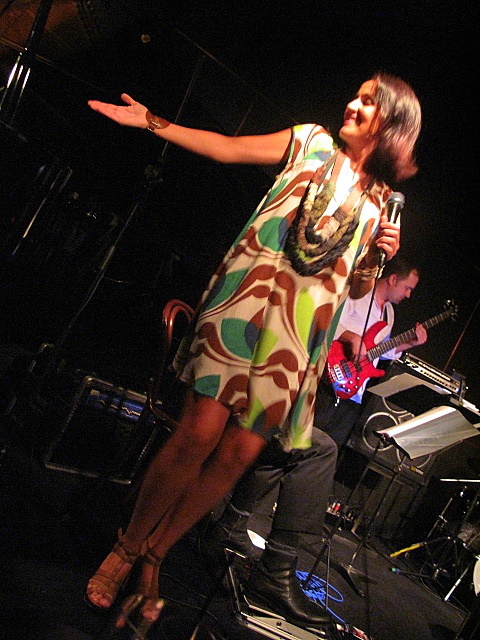 Bossa Nova is more alive than ever through the voice of Brazilian singer Juliana Areias, bringing with her the magic subtleties, stories and the evolution of the bossa rhythm that has inspired people to sway gently for over 50 years. 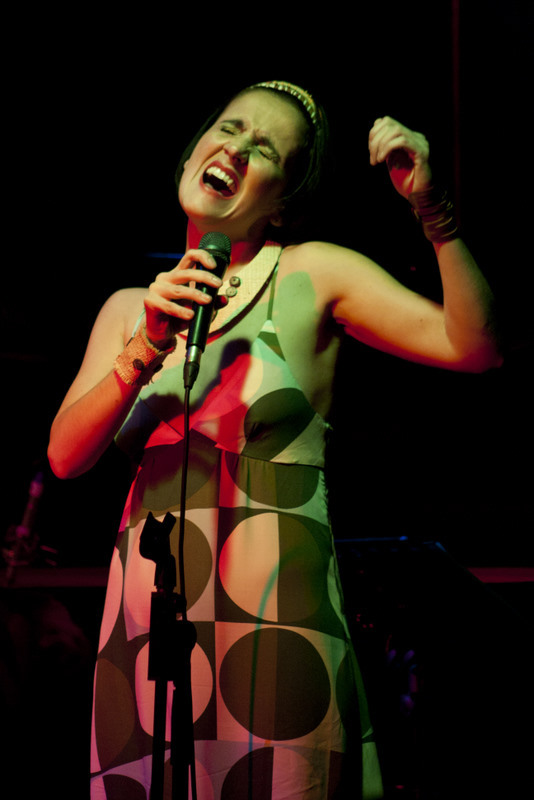 On board with Juliana Areias on this sensuous musical journey, you can expect a stellar line up of musicians including the most sought-after jazz musicians based in Australia. If Edith Piaf was Brazilian and Carmen Miranda French how would their music sound? This is the music mystery that this amazing show aim unravels. Fasten your seat belts and free up your imagination to enjoy a stunning collection of breathtaking French classics and other finely selected tunes which have a French connection – interpreted with a Brazilian touch, grooves and accent, plus impeccable accordion and charming guitar– displaying the French influence within Brazilian Music and Jazz. The concert will embrace timeless classics by Edith Piaf, Henri Salvador, Antonio Carlos Jobim, Joao Gilberto, Joao Bosco and Carmen Miranda. On board with Juliana Areias on this sensuous and chic musical journey, you can expect “la Crème de la crème ” of the most versatile and legendary musicians of Australia. Carnival, the greatest party on earth. It was precisely in a Carnival summer night that Brazilian Singer Juliana Areias was born. This show gives you an unique taste of the Carnival atmosphere . The concert embraces sensuous Brazilian rhythms featuring some of the finest Sambas of all times, uniting traditional and contemporary composers such as: Antonio Carlos Jobim, Jorge Benjor, Noel Rosa, Cartola, Joao Bosco, Gonzaquinha, Djavan, Caetano Veloso, Edu Lobo, Chico Buarque, Luiz Melodia, Lenine, Zeca Pagodinho, Arlindo Cruz, Eduardo Godin, Rosa Passos, Rita Lee and Maria Gadu. To perform this show Juliana is supported by a smoking and sensational “Samba Band” and can also provide samba carnival dancers and an unique samba de gafieira traditional couple dance if desired. The concert is primordially inspired by the colourful Brazilian Annual Winter Festivities where everybody get together to have fun and dance around bonfires in a colonial and regional country style. To perform this show Juliana is supported by a eclectic band displaying very authentic instruments such as cuica, berimbal, pandeiro and cavaquinho. The concert celebrates the mysteries of the night the Brazilian way, exploring the collective imagination of Latin American culture and its “darker elements”. From traditional Gothic lullabies, seductive vamp ballads, African slave chants, blues and rock magic portions, to evolving energetic samba spells, here is a night to have fun between fantasy and reality. Halloween or steam punk dress is encouraged at this festival of fantastic creatures, tales, myths and songs! 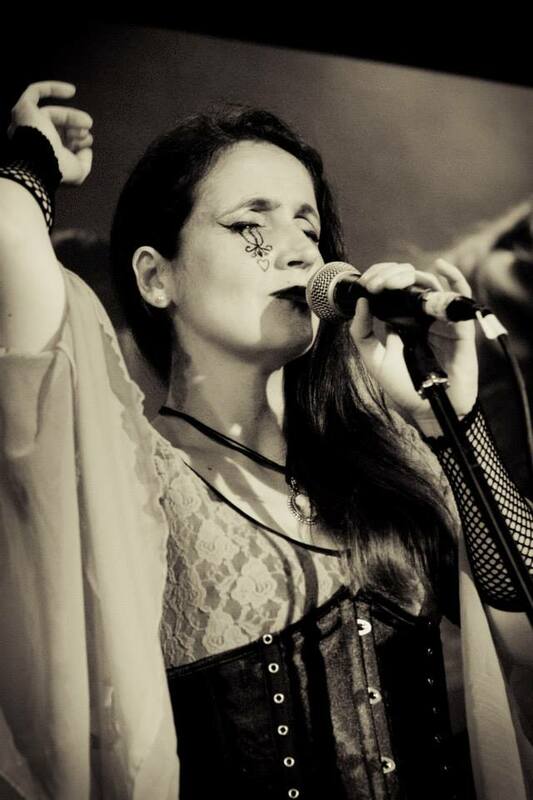 Along with Juliana Areias, you can expect a fantastic “Black Cats” band composed of multi-instrumentalists and vocalists all dressed in Halloween/ Steam Punk Style. For trio – Harmony ( guitar or keys) – left, voice – middle front, percussion or drums – right or behide. For quintet – Harmony (guitar or keys) – left, voice – middle, sax in the right , Bass behide left, Drums behide right. SET-UP TIME REQUIRED – 60-30 minutes before the start of the performance. PRODUCTION REQUIREMENTS :– If in open air, performance area needs to be covered or protected from rain and direct sun light on the instruments. – If in dark area or during the night. Appropriate lighting need to be provided.– If available, loading area close to the performance area and parking for each perfomer.A) When the artist is providing the PA System:– A table for the mixer and a power point close to the performance area needed to be provided.– Chairs without arms for guitar, keyboard and drum. 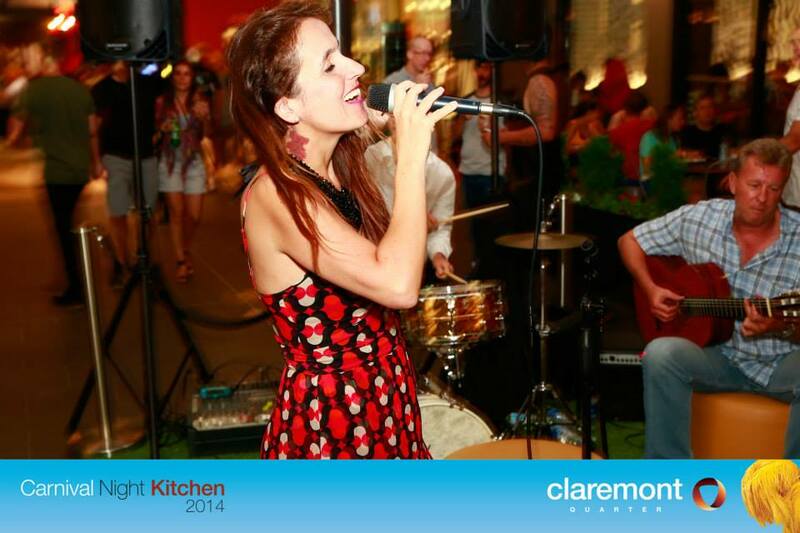 – December 2013 .- “Juliana Areias is proving be a band leader and musical “activist” who makes things happen. – Garry Lee – The Jazz Guitar Society of Western Australia JGSSWA # 142, June 2013 – Page 3. 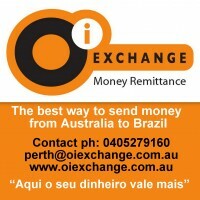 Recently compared to renowned contemporary bossa nova singer Bebel Gilberto by Brazil’s acclaimed EPOCA Magazine and O DIA newspaper and with over a year of consecutive sold out concerts around Australia, Brazilian Singer Juliana Areias, based in Perth since 2009 is already a reference in the local music scene and abroad. Juliana Areias has lived for many years in Europe (Switzerland) and New Zealand prior to moving to Australia. Always working in the music circuit, her career includes performances at major international festivals such as the revered Montreux Jazz Festival, Auckland Festival, and American’s Cup (NZ). 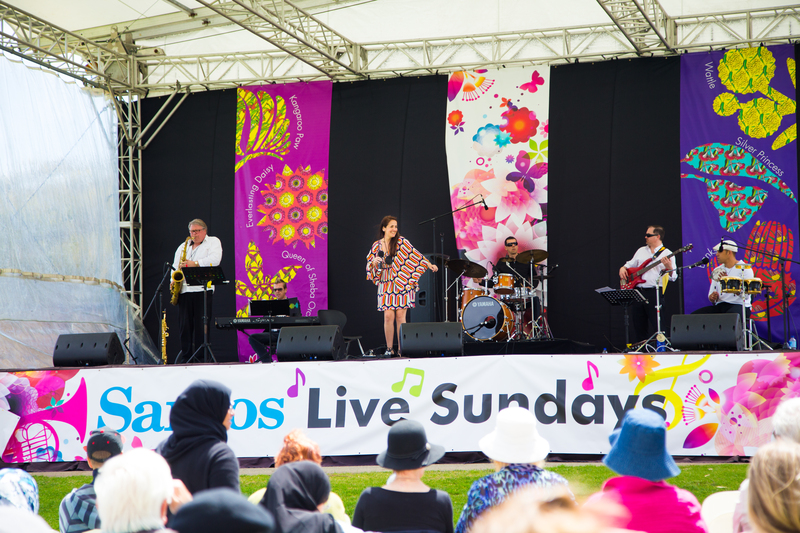 Most recent performances include the Inaugural and secound edition of the Perth International Jazz Festival, New York’s exhibition “Van Gogh, Dali and Beyong” at The Art Gallery of Western Australia, and Ritmo Festival at The Darling Harbour, performing for over 30.000 people. 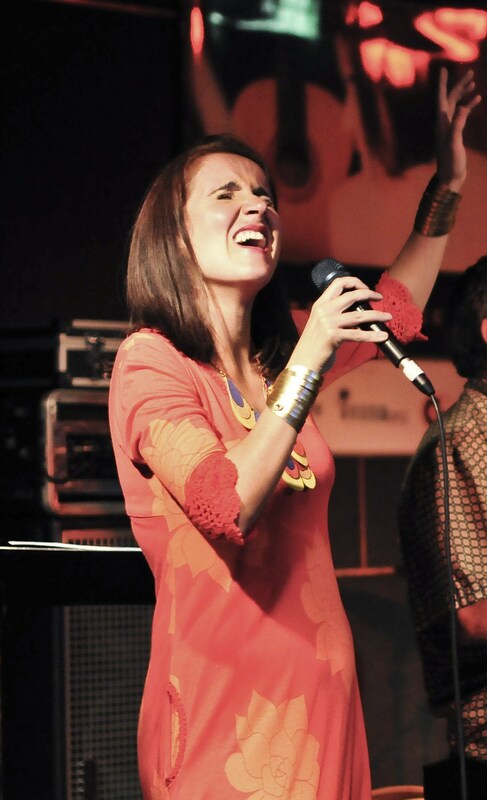 Juliana Areias has recorded for the poet, composer and Brazilian diplomat Marcio Catunda, 6 of his albums produced respectively in Switzerland (Anima Lirica -1997), Bulgaria (Crescente – 2000), Brazil ( Mistica Beleza – 2003/ Itinerario Sentimental – 2008) , Spain (Agua de Flores – 2009) and Portugal (O Jardineiro da Vida – 2010).And now she is producing her first original album, the Bossa Nova Baby. .